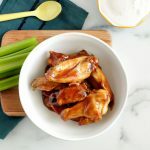 Air Fyrer Chicken Wings – make the perfect chicken wings with honey barbecue sauce in a fraction of the time! For some reason chicken wings has kind of intimidated me. That was until I made them in the air fryer. It is literally the easiest thing to make and they turn out delicious. Once you make chicken wings this way, you won’t ever want to go back. Place a piece of aluminum foil between the base and basket of the air fryer. 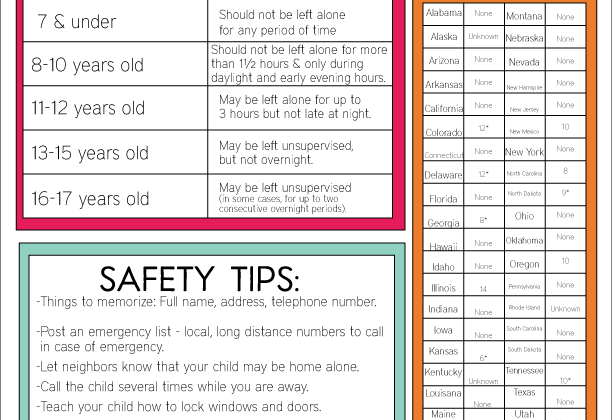 This makes clean up extra easy. Trust me! And find more Air Fryer Resources and tips here. Spray the basket with cooking spray to make sure the wings don’t stick together. 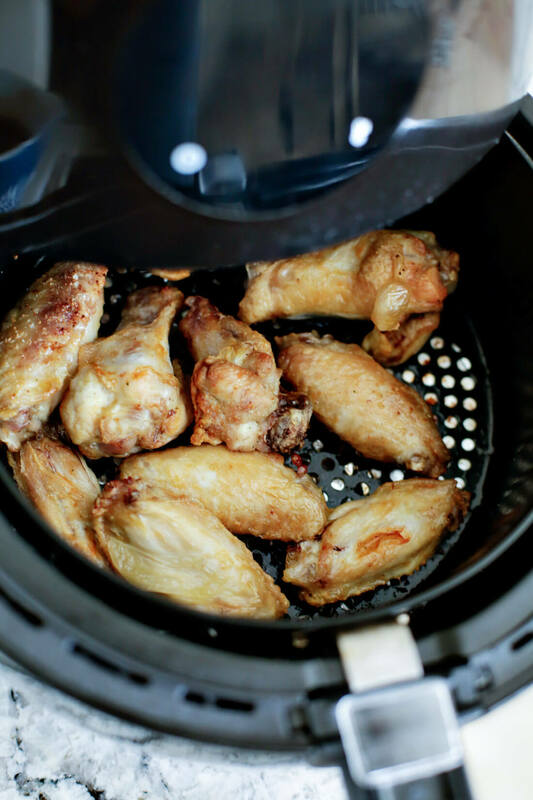 After sprinkling wings with garlic salt, place them in the basket without over crowding the air fryer. If you crowd the air fryer, there isn’t enough air to circulate and it makes the cooking uneven. You don’t want that, especially with chicken. Set the air fryer to 400 degrees for 15 minutes. Take the basket out and shake the chicken a few times during the cooking to make sure it really is cooking evenly. I just set a timer for 5 minutes and shook the basket 3 times. 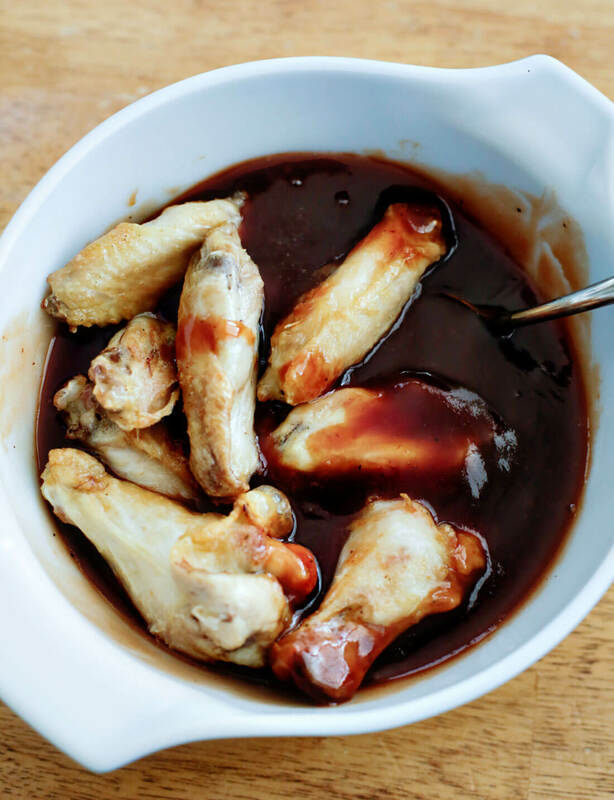 While the wings crisp up, combine honey and your favorite barbecue sauce in a bowl. Once they are done cooking, toss them in the barbecue mix and enjoy! 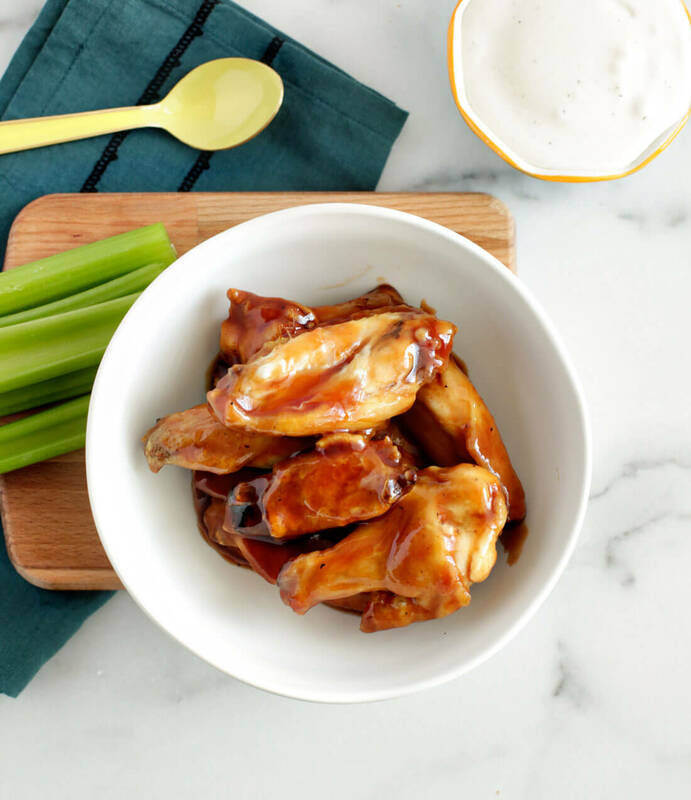 Serve these chicken wings with celery, ranch and extra barbecue sauce for dipping. Make sure to have some napkins handy because they are sticky and sweet, finger licking good! 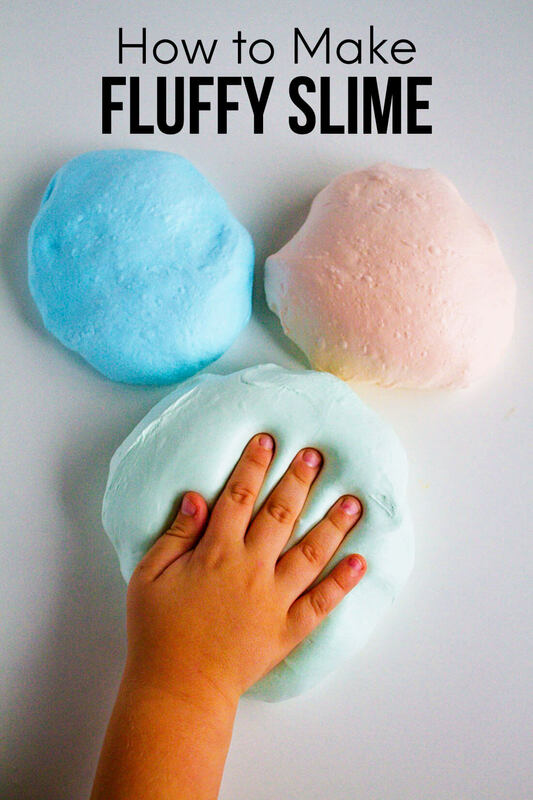 If you love this easy recipe as much as I do, please write a five star review, and be sure to help me share on Facebook and Pinterest! 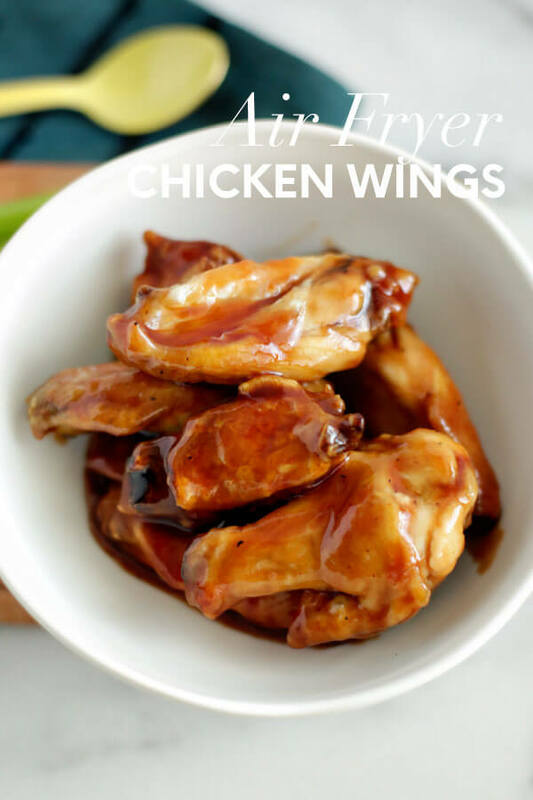 Air Fyrer Chicken Wings - make the perfect chicken wings with honey barbecue sauce in a fraction of the time! Sprinkle with garlic salt and arrange in air fryer basket, allowing enough room for air to circulate. Cook for 15 minutes at 400 degrees in your air fryer. Set a timer to shake chicken every 5 minutes until done. 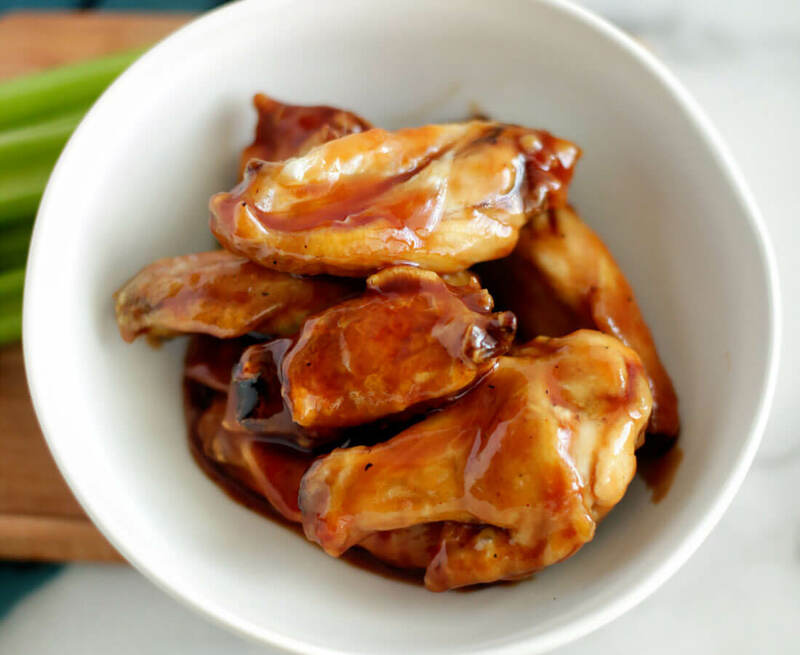 While wings are cooking, mix together honey and your favorite barbecue sauce. Once chicken is done, add to the bowl of barbecue and honey mix. Serve with cut up celery sticks, ranch dressing and extra barbecue sauce for dipping.